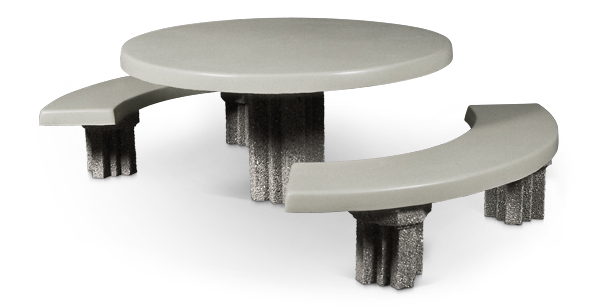 This easily accessible concrete picnic table will bring everyone together. Detached bench seats curve around the perfectly round pedestal table creating a unique setting. Perfect for your picnic or dining area. Enjoy superior weather resistance with very little maintenance required. Heavy weight protects from theft and steel reinforced construction offers resistance to vandalism. Table top and seats come in a smooth finish, and the legs come in a variety of textured finishes. Color options are available as shown. Top & Seats - Smooth Finish Options. 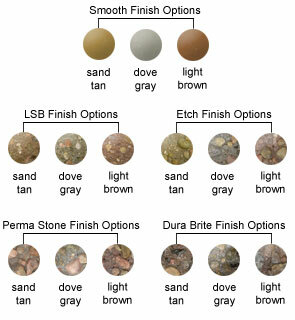 Frame - Smooth, LSB, Etch, Perma Stone & Dura Brite Finish Options.